About Cummings Moving Company | Cummings Moving Co.
Cummings Moving Company is a full-service Residential & Small Business Moving & Storage Company providing local, statewide, interstate, and international relocation services in San Francisco since 1969. We are woman, minority, and Veteran owned and operated. Amy Messinger and Enrique Palos have been moving San Francisco Bay Area residents for decades. The team at Cummings moves the contents of apartments, condos, homes, estates, start-ups and large corporations every day. 85% of our business is generated through word of mouth – And our Clients Love to Talk! Whether a full-service job or a quick move across town, our clients let us know when we get it right AND they let us know where we can improve. Either way, it is great to hear from them. Moving clients, especially here in the population-dense and geographically varied city of San Francisco is a challenge we love. Every day is high-energy and exciting, and each client needs something a little different. From packing, moving, storage, and executive relocation, to warehouse and showroom services, our long-standing relationships with clients who return, move after move, inspire us to do our best. We are also a trusted agent for Wheaton World Wide Moving. 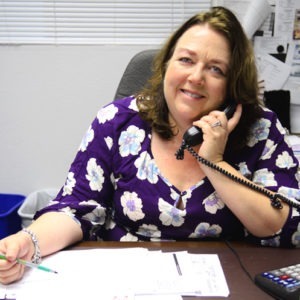 If you have questions and would like to reach us directly, you are welcome to call or email at your convenience. If you would like a Free Moving Quote – Click Here. Every day we aim to maintain our reputation for excellent customer service and top quality relocation and storage services. We are proud to be Honor Roll members of the Better Business Bureau maintaining an A+ Rating. 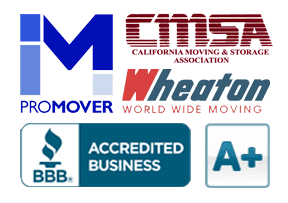 We are active members of the California Moving & Storage Association. Our long-term employees, from customer service to our moving crews, are dedicated to making your experience with Cummings Moving Company a great one! Let Cummings Moving Company be your San Francisco Mover. We’ve used Cummings twice and had a great experience both times. They helped us pack and move while fitting into our busy schedule. This is really a great company. Thanks again for the help! Great company! I have used them for several jobs. The movers are very nice and they have excellent customer service. They are also very respectful of your belongings. I highly recommend them for any moving projects you may have. They are magicians with the way they fill that truck!! Nothing but perfection! Best quality out there. Super fast crew! Thank you for helping us with this move.